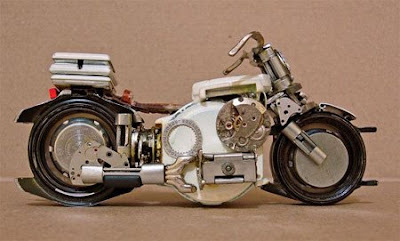 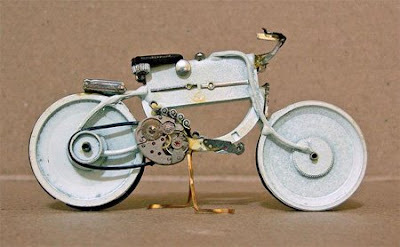 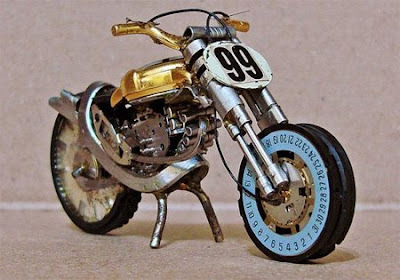 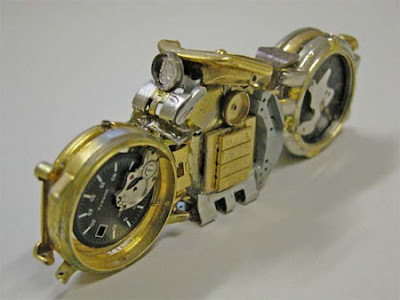 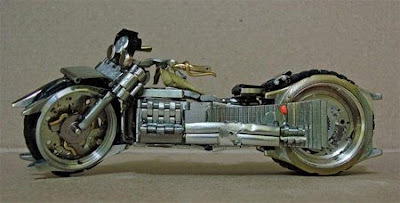 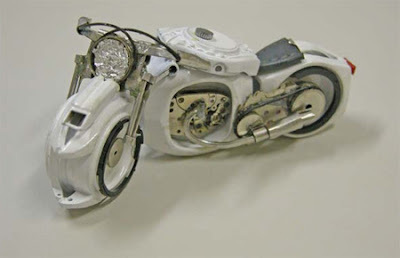 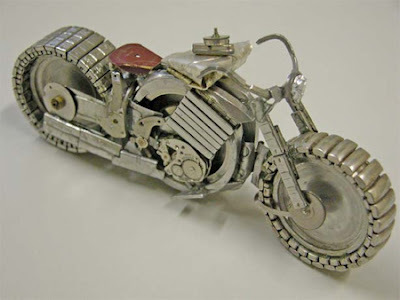 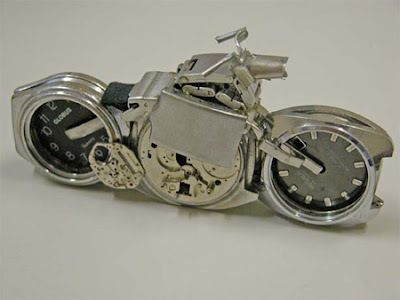 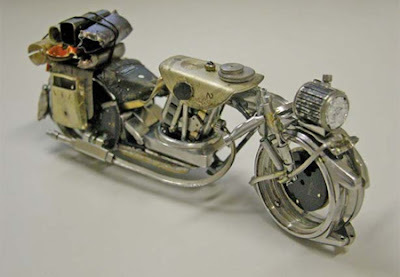 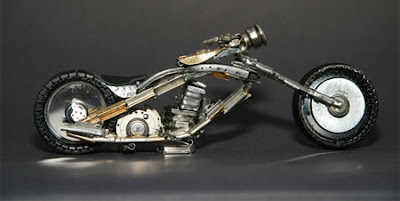 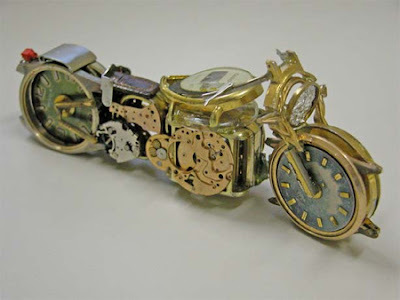 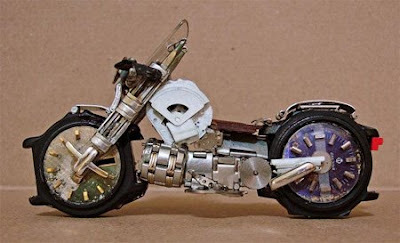 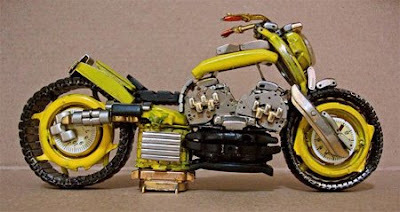 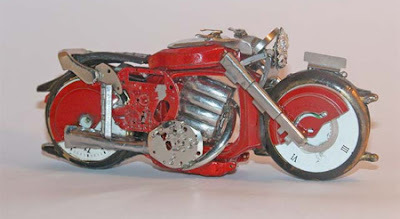 Jose Geraldo Reis Pfau is a Brazilian artist who uses old watches to create beautiful motorcycle sculptures. 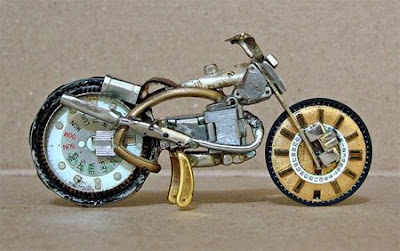 They consist of metal, glass, plastic, silver and even gold piece. 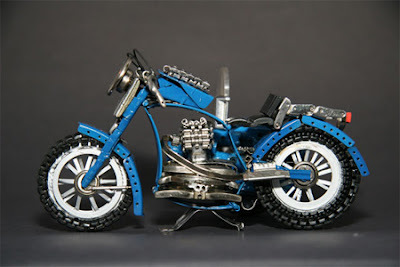 More pictures after the break.